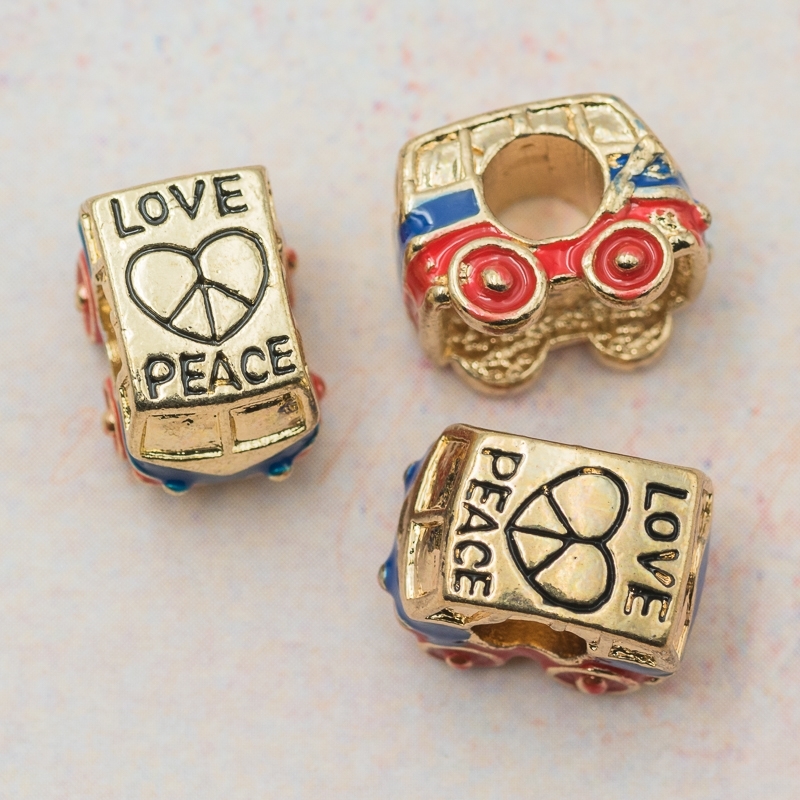 Bus beads, made from alloy metal. Size 10mm tall x 10mm wide x 14mm long. The design is on all sides and the hole measures 4.5mm diameter. Will fit onto european bracelets, hang on a chain or use as a focal bead for a necklace.